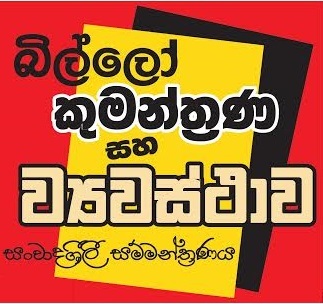 -Shenali D Waduge-Apropos to Dayan Jayatilake’s “Why Mangala must exit…...” in what he calls a ‘Mexit’ moment the suggestion is both valid and timely. 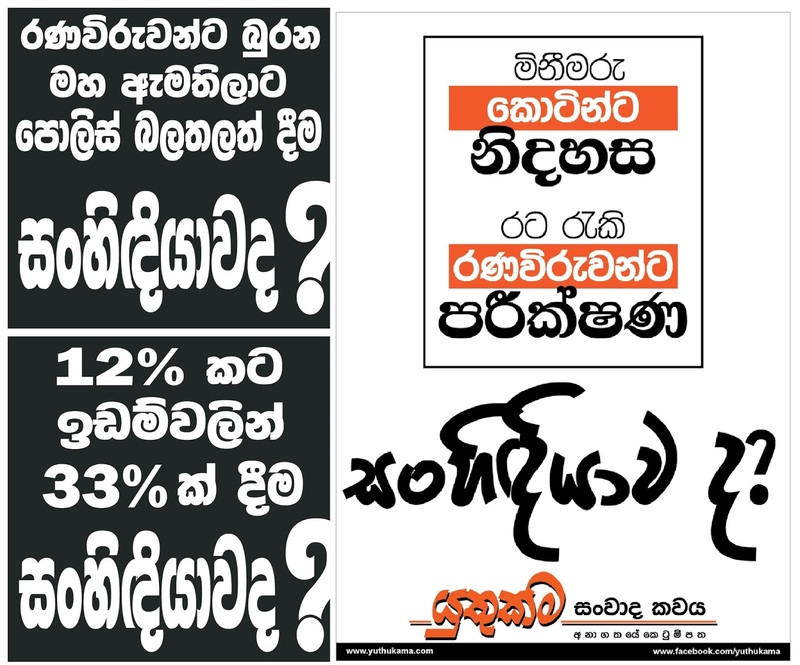 The Foreign Minister of Sri Lanka must be change. In fact he should be impeached for treason and violation of the countrys constitution. He is like a loose cannon and has been making statements and decisions at diplomatic levels contrary and conflicting with what the Head of State has assured the nation. Some of these statements border on treason and immediately calls for action by a government that came to office on the assurance of good governance. 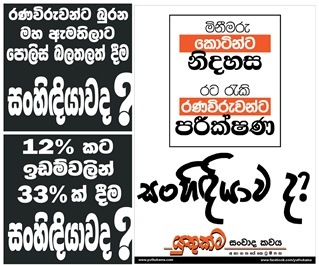 The proof is now in the pudding and both the President & the Prime Minister are advised that a ‘stitch in time saves nine’ applicable in particular to the Foreign Minister who serially suffers an ailment of bringing people to power and with that same vigour removing them from office. Neither the President nor the Prime Minister would want to fall prey as previous others have. The Foreign Minister has neither electoral clout nor public backing. He is following a very dangerous agenda that is likely to affect the political stability of the country. We have to now wonder whether the co-sponsorship of the US-UK Resolution of 2015 was a personal decision making or whether it did have the nod of approval by both the President & the PM. If not this adds another reason for his impeachment. He is now advocating how powers of the Indian Ocean are to be distributed – all these are beyond his mandate and he has no business to be making statements that affect the entire country. The island nation is not the personal property of the foreign minister. We cannot agree to a Foreign Minister who compromises the national sovereignty of the country. He is not paid to be shaking hands and forging deals that win him personal accolades at the cost of the nation and its armed forces. While he is welcome to solicit western patronage for personal endeavors it cannot be at the cost or at the expense of the nation’s integrity and by undermining the magnanimous achievements of our heroic armed forces. Even the diplomatic community are laughing at the manner the current foreign ministry is functioning under the foreign minister reducing diplomats into minions and peons. The world is viewing chaos, divisions, terror and mayhem at such a time even small nations like ours can play a role no different to the memorable foreign policy of the late Mrs Sirimavo Bandaranaike who to this day is spoken of fondly by both the East and the Western bloc. She was able to balance politics of both spheres of influence and not bow down to or appease to any foreign power or pressure. This was non-alignment at its best and since other than late Mr. Lakshman Kadiragamar all others have been miserable failures. 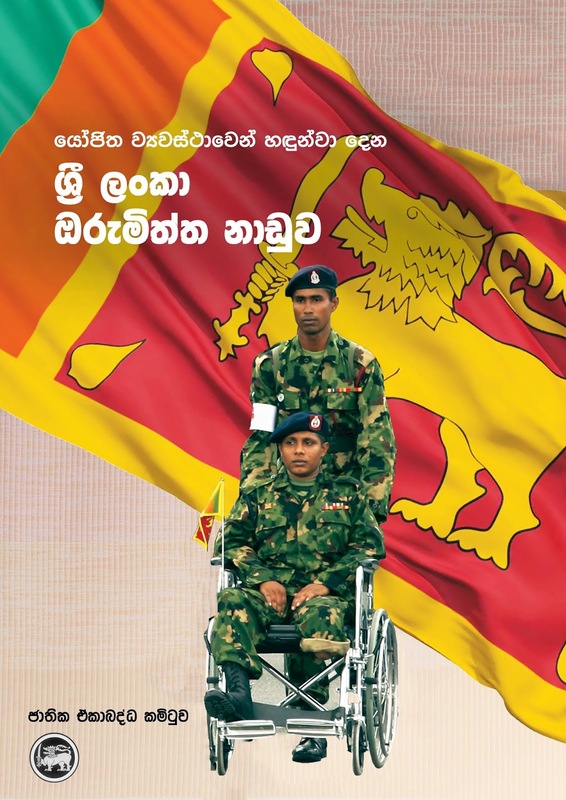 The President of Sri Lanka has been repeatedly assuring the nation that there would be no foreign judges albeit there should be no war crimes tribunals at all and anyone reading the 5 legal opinions of the international legal luminaries tasked to assess the conflict have legally shown that the armed forces of Sri Lanka have not committed any war crimes to hold any war crimes tribunal against them. 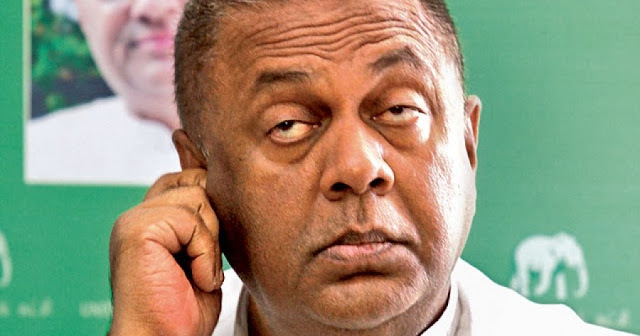 Therefore the stand the government of Sri Lanka needs to take is that Sri Lanka has not committed war crimes and therefore no such tribunals are necessary. Individual cases of soldier malpractice can if evidence are produced be tried in a military court as done in all countries. It is a very simple solution and avoids unnecessary cost and time as can be seen by the failures of all the tribunals that the UN has implemented. Let us also remind the Sri Lanka populace of the 2013 Singapore Principles where the present Foreign Minister agreed with the TNA on a conceptual framework based on which the changes currently taking place are aligned. 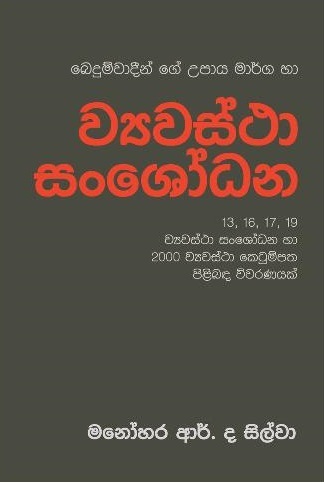 The TNA demands for confederation is in line with their ultimate aim to separate from Sri Lanka and the build up to that are the calls for demilitarization, colonization of Sinhalese and now the attacks on Sinhala students at the University of Jaffna with the intent of transferring them to another university even Sinhalese pilgrims and their buses have been attacked – of course the international and local media choose to follow the monkey no see, no talk, no hear policy. All these promises assured in 2013 by the foreign minister are slowly coming into reality. The nature of the UNHRC and its biased stand not to mention the illegalities and irregularities within the halls of the UN calls to mind the manner the present UNHRC head is behaving. His last statement called to ‘rein in the armed forces’ – is he comparing our armed forces to horses on the loose! In another occasion he even insulted our judiciary calling them incompetent. The lack of diplomatic response in calling UNHRC head to apologize and explain has encouraged him to produce more disparaging statements to which the foreign minister’s un-nationalist behaviour is adding further salt and pepper. The world has been fooled. The people have been fooled. The 9/11 disclosures and the Chilcot Report clearly indicates that the Gulf Wars and invasions in Afghanistan have been built on lies and without reason. Hundreds of thousands of innocent people have died as a result since 1991 and today the Middle East is in flames. We do not wish to have any more bloodshed. We have gone through 30 years of terror and the UN and so-called international community did not enter the scene to stop LTTE terror. 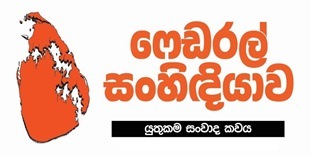 They have entered after the LTTE was vanquished and are crying over the last few months and counting the dead when they ignored all the tears and suffering by those that the LTTE killed including unarmed, injured soldiers while over 5000 of them are still missing. We don’t need such a UN to be preaching to us and no countries that have bombed nations on lies can bring resolutions against us while using veto powers in the UN to ensure inaction against their favourite countries. This is not justice that people expect of the UN. Our diplomats are doing nothing to counter the LTTE lobby that is influencing the US congress, US state department and even within the halls of the UN. Our foreign missions have failed to protect the sovereignty and national security of the country because the foreign minister stands as an obstacle. We have come to a point where we must stand and say that we will not be party to alienating, antagonizing or provoking any country because it meets the agendas of a handful of countries that our foreign minister is striking personal accords with. None of our historical friends can become enemies simply because ‘new friends’ have entered the scene. We have ridiculed our historical friends and thereafter discovered that the ‘new friends’ have nothing in their kitty to give and we have shamelessly ended up going behind the friends we have ridiculed. This is not diplomacy. The Foreign Minister must be impeached and removed from office. He is not fit to function in his role. This country is not the personal property of any politician or political party that comes into power for a TERM of office. 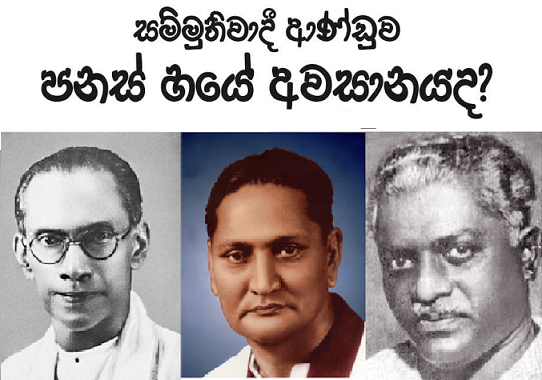 The President, PM, Wigneswaran, Sambanthan, Anura Kumara, C Ranawaka or even Mahinda Rajapakse cannot agree to divide the nation under any terminology or dictum used to fool the masses. We abhor British imperialism but we respect the manner that the British leaders have honoured the will of the people. We may not like the politics of David Cameron but following the Brexit vote he honourably resigned and this is a magnanimous gesture and one to be applauded. Look around the world and see the bloodshed taking place. We want no more. We must all stand up and not allow any of these vile politicians coming into the political scene to destroy the planet in the manner that they are behaving. Our children deserve a happy and undestructive future and to enable this each of us must stand up and say NO to the politics of treachery that is taking place and these devious steps being followed by a handful of politicians must be stopped. The world does not need such people any more. We need peace and we need policy and we need people with integrity and public interest to rule. We do not need any more traitors in office. 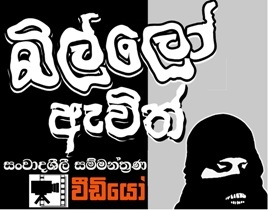 ආලෝකය මෙන්ම අන්දකාරයද මල් පුබුදුවනු ඇත. 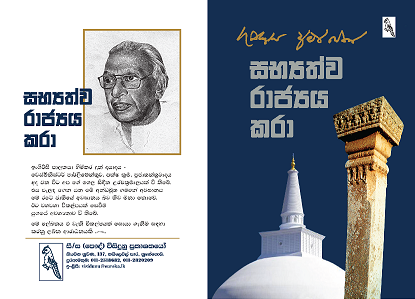 තරු පටි දේශපාලනය සහ ඉන්දු චීන බල අරගලය. 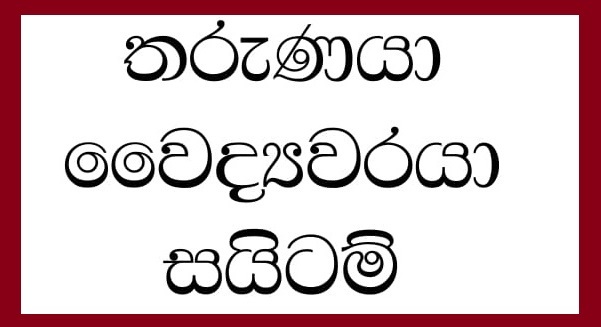 සදාචාරයේ බැම්ම කඩා කැමරා ඉදිරියේ නිරුවත් වීම. 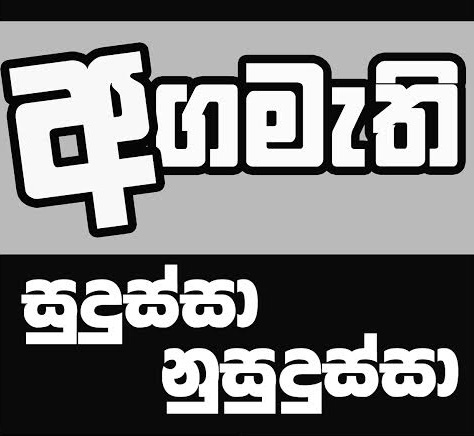 අපේ ජාතික බලවේගය කවර මගක් ගත යුතුද? 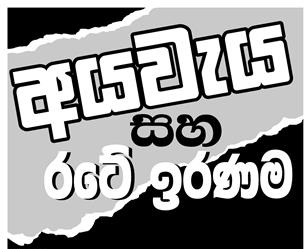 CEPA ගියා ETCA එනවා.ලංකාවට ඇඩ්‍රස් නෑ..